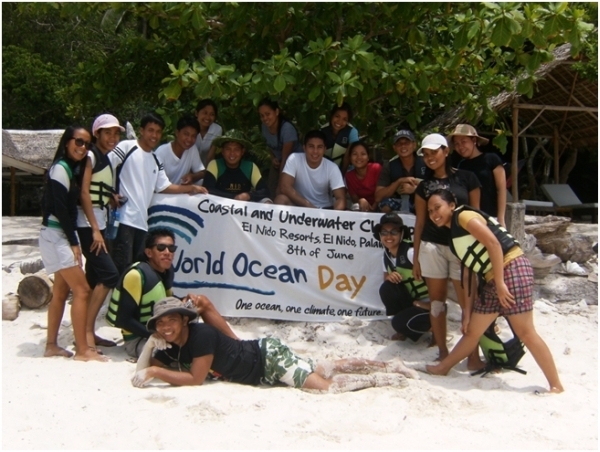 El Nido Resorts joined the rest of the world in celebrating World Ocean Day last June 8, 2010 with the carrying theme Oceans of Life. Guests and staff participated in coastal and underwater clean-ups and crown-of-thorns starfish (Acanthaster plancii) collections at the different beaches and dive sites around Bacuit Bay. The fun-filled day ended with food, music and games at Entalula Beach Club. Almost a hundred pairs of willing hands worked hand-in-hand to collect trash that reached a total of 190.9 kilos, and more than a thousand pieces of crown-of-thorns starfish. Majority of trash collected were glass bottles, plastic bags and Styrofoam. World Ocean Day is an opportunity to celebrate the beauty and provisions of the ocean. 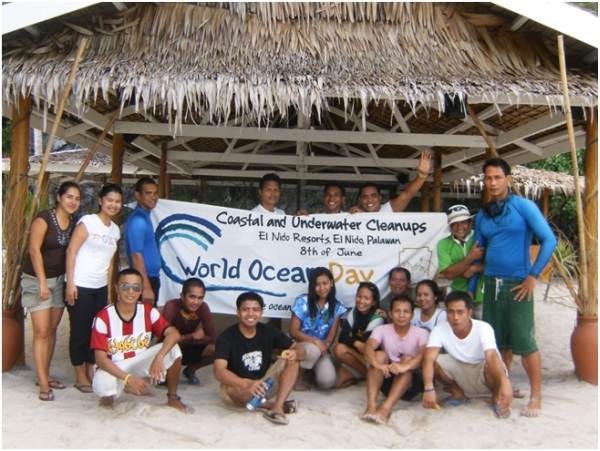 El Nido Resorts honored the ocean by giving back to the ocean through environmental awareness and community action.